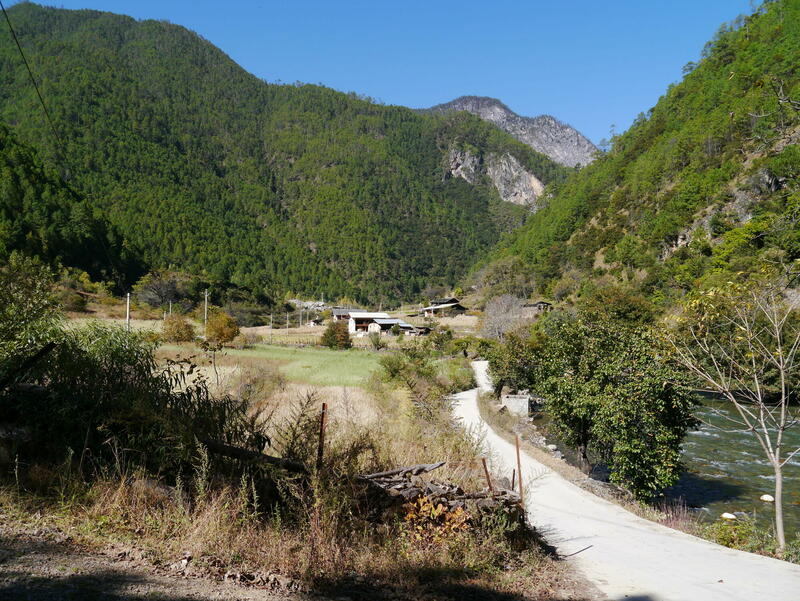 The secluded little valley of Niru (尼汝) is a remote and obscure place even for many people born in Yunnan province. 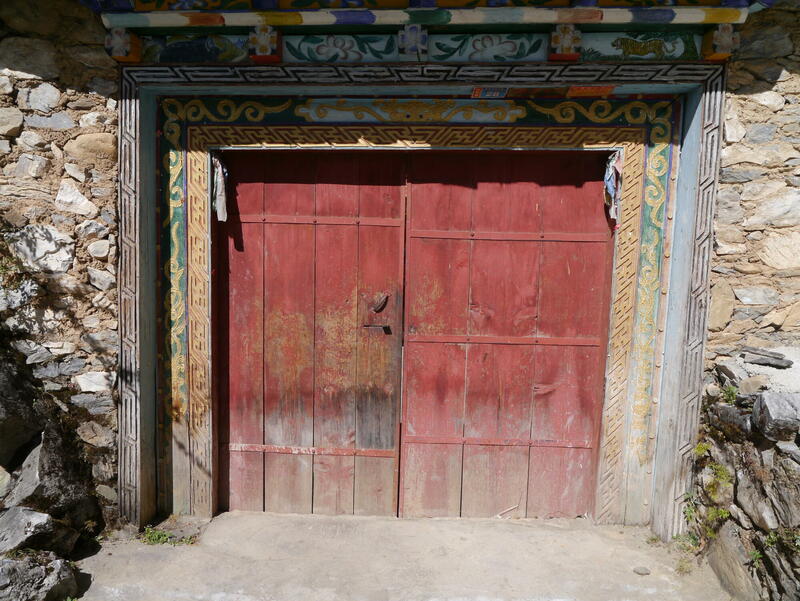 Maybe they have heard rumors of a mountain redoubt in the northwest mountains inhabited by Tibetans, but almost no one can spot the place on a map, much less offer up any real details of what life might be like up there. 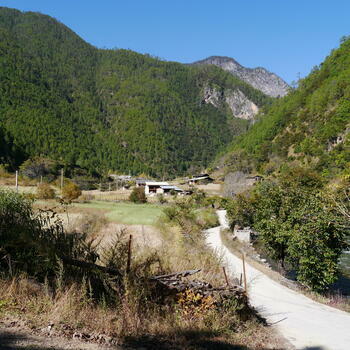 Unconnected for all of its history to the rest of Yunnan by anything other than the most cursory trails and roads, within the past fifteen years, Niru connected to the provincial electrical grid. Locals Jerry-built their own power station way back in 1979 and, for a time, it provided enough electricity for a few light bulbs in about 20 houses. Those days are gone. Paved roads now exist where none did before, although they don't extend particularly far into the mountains. 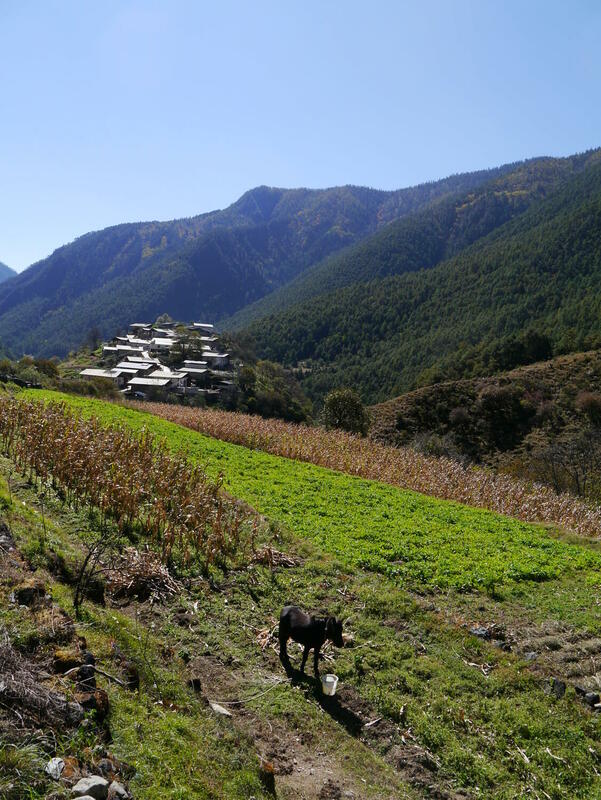 Despite their recent and at times spotty introduction to the region, these modern conveniences are changing life around the Niru valley quickly. 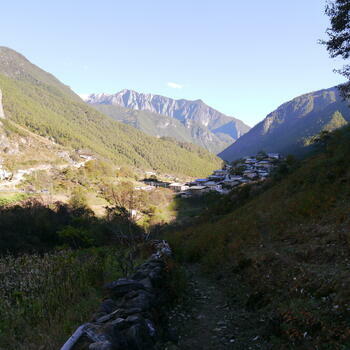 Niru is the Chinese transliteration of its Tibetan name, and all locals actually call the area 'Nizu'. 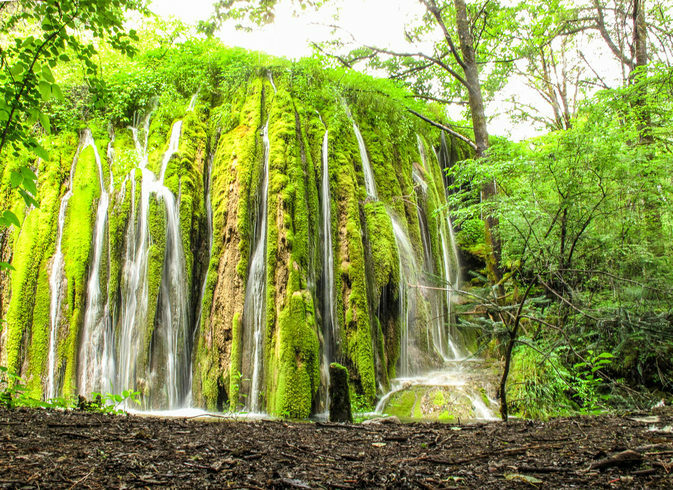 It sits perched up in the mountains of Diqing Prefecture at an elevation of around 2,700 meters. 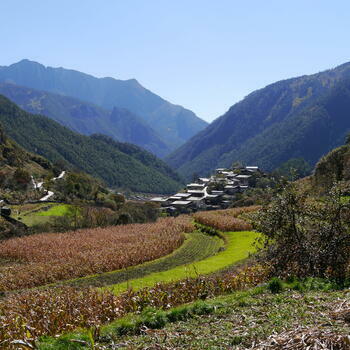 As the crow flies, Niru is 60 kilometers east of the city of Shangri-la (香格里拉). Driving is a whole other beast however, as see-sawing switchbacks add at least another 35 kilometers to the journey. 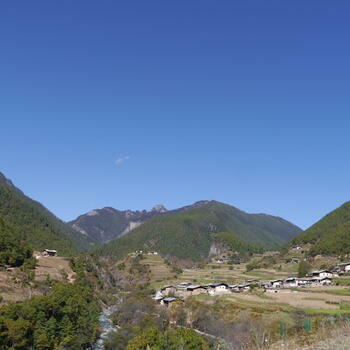 The closest actual town to Niru is called Luoji (洛吉), where buses are a rare but necessary connection to the outside world. 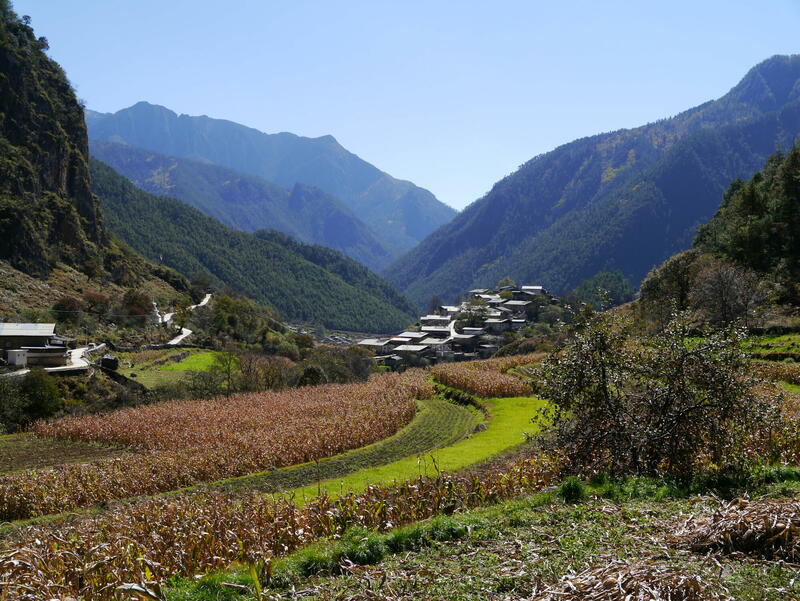 People living in the valley traditionally rely on subsistence farming — beans, highland barley, corn, wheat — as well as by tending to surprisingly large herds of shaggy highland yaks. 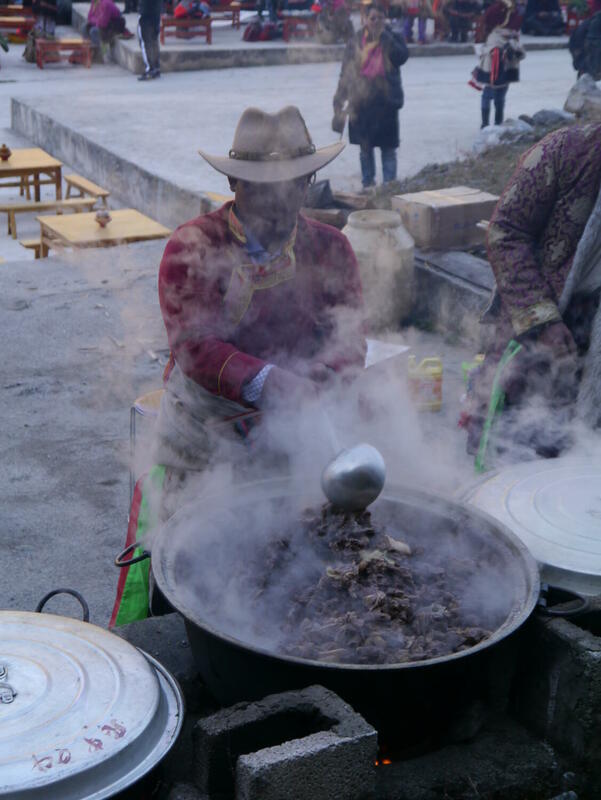 The Tibetans in this area are unique to Yunnan in that they practice the Bön religion, a shamanistic belief system that originated in Tibet more than 1,000 years ago. 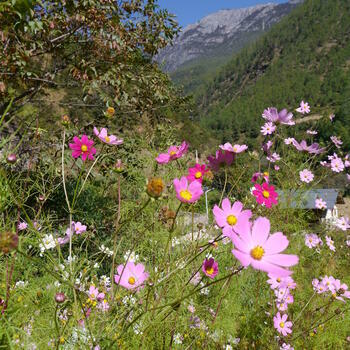 For those in Niru, the fifteenth day of the ninth lunar month is an important time, one of the most religiously significant of the entire year. 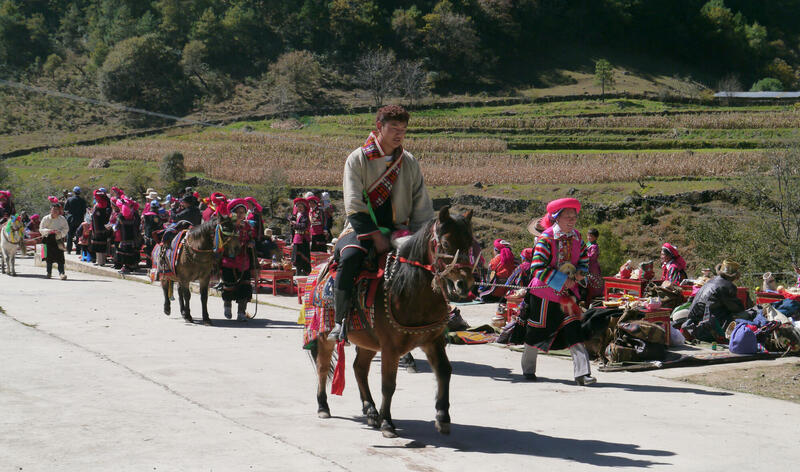 People from across the valley are joined by those watching over yak herds higher up in the mountains. 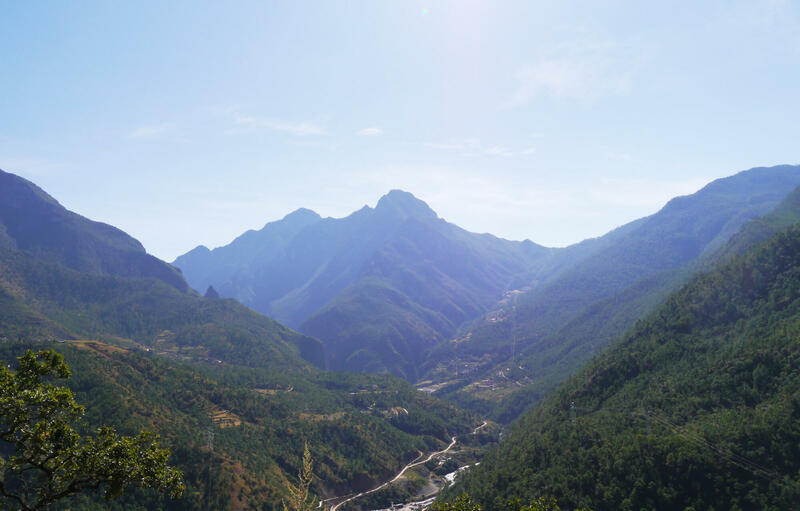 They come together to venerate the spirits of two small mountains in the basin — one male and one female — that are responsible for the well-being of the entire region. Our guides through what makes Niru tick are Diego Triboli and Kevin Skalsky. Triboli is the owner of Cantina restaurant in Kunming, as well as the founder of import-export company Sapore Italia. He has been visiting Niru since 2010. Triboli was introduced to the area by Skalsky, who first visited way back in 2000. A few years after he first set foot in Niru, Skalsky invested in the region's first guesthouse, called the Nizu Roadhouse. 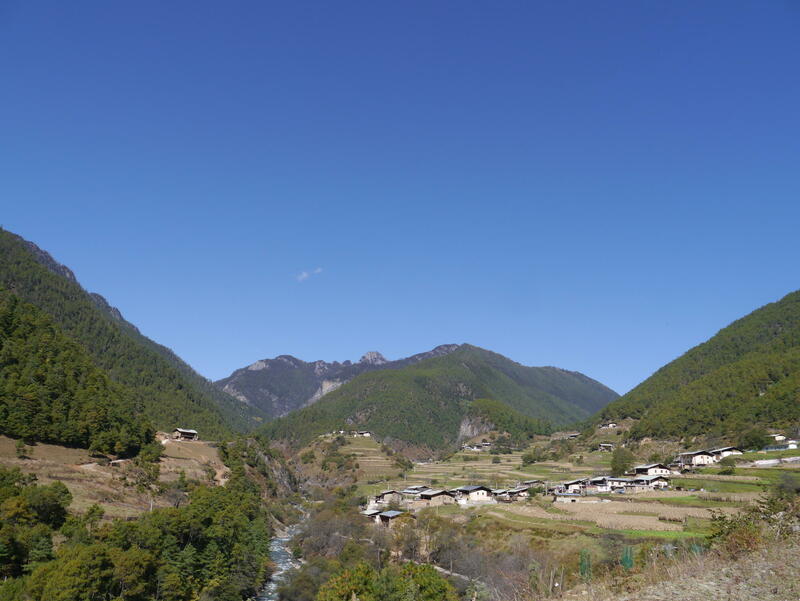 For both men, Niru represents the China most travelers dream of stumbling upon — an unspoiled wilderness inhabited by people with a close connection to nature and their traditional culture. Triboli sums up a trip to the valley as "a place you go when you want to spend a few days in the past". 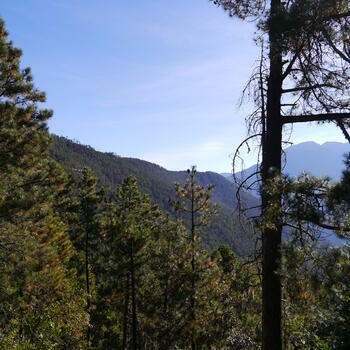 Skalsky's attitude toward the place is perhaps best described by author Lisa Liang, who wrote of him, "He's spent the past [several] years building the perfect little guesthouse in the middle of nowhere in one of China's last and most pristine forests. Then he crosses his fingers and hopes that no one comes." But come they have. Curious day-trippers certainly aren't an inescapable occurrence yet, but photographers armed with outsized camera lenses do turn up in droves for the October festival. 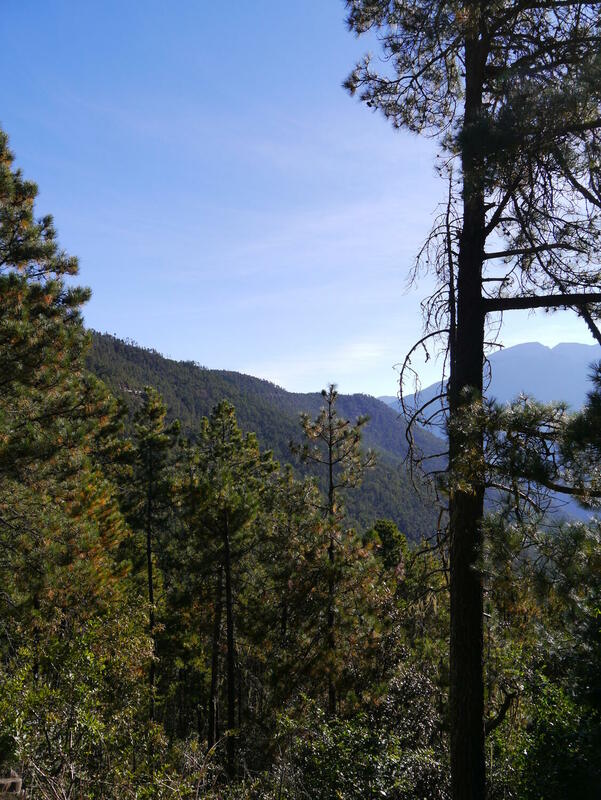 Change and the trappings of modernity — once extremely slow to arrive to these forested slopes — also take the form of government development projects. What really attracted Skalsky and Triboli, when they look back, was the fact that the place lacked reliable electricity, phone service, internet and even viable roads. 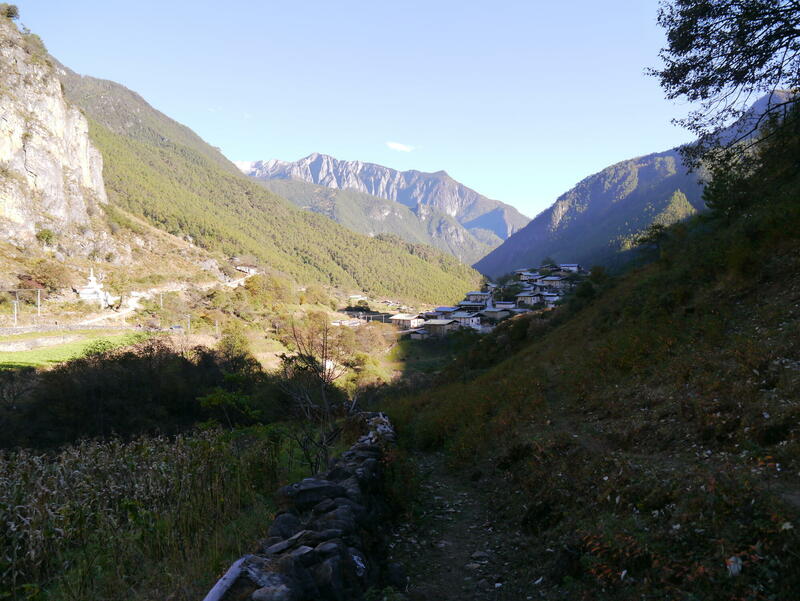 In the past, they reached the hidden valley on the backs of Tibetan ponies or rode motorcycles over hair-raising dirt tracks that sometimes devolved into nothing more than footpaths overlooking shear, 200-meter drops. 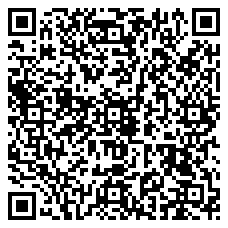 It's still a very bumpy 35-kilometer ride from Luoji to Niru, but it can now be made by car. In 2018, our two guides rolled into the valley on October 23. Chhaang was on hand almost immediately. 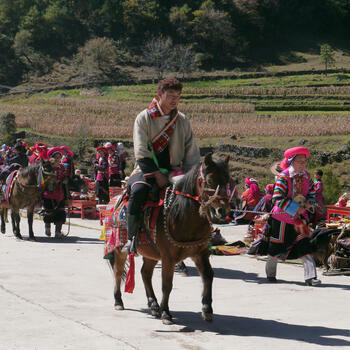 The fermented drink is made from barley in Niru, and is a required accompaniment when welcoming people who have made the trek into vale. It's strong. Following a raucous evening at the guesthouse, our protagonists awoke a bit groggy the next morning and joined local festival-goers as they congregated for the day's events. People gathered around the traditional staging area — a flat piece of ground that until 2018 was an open meadow. The small grassland has now been completely paved, an 'upgrade' provided by the government. 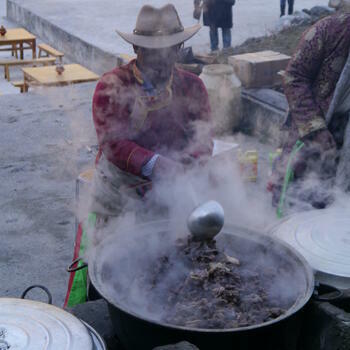 The locals get down to business, some readying meat, chopping vegetables and tending fires underneath enormous woks that will soon churn out enough food for the whole valley. 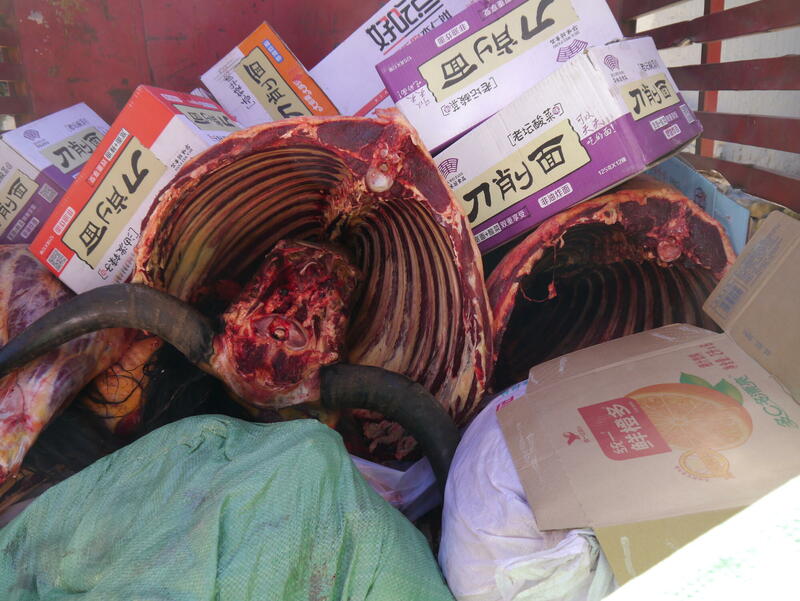 Alongside other supplies, two butchered yaks had arrived the day before by courier service. They needed to be properly cleaned and spiced. Others busied themselves making sure the ponies were properly brushed and adorned. 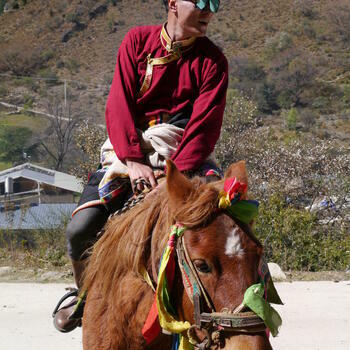 There are saddles to be polished, horse blankets to be draped and prayer flags to be tied. Everything must be in order. 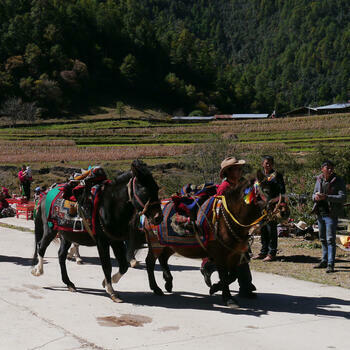 As Kevin later explained to us, the Tibetans in Niru have their own special traditions. "There is no monastery. 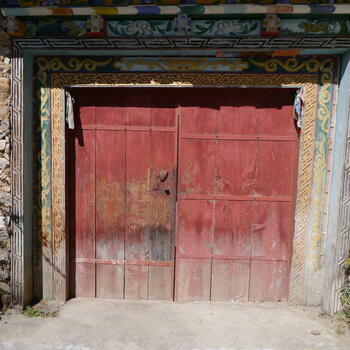 The power structure doesn't come from the monks like in other Tibetan places in northwest Yunnan. There is a priest, called a zangba in the local language, and up there, it is all about the geography, the sacred geometry." 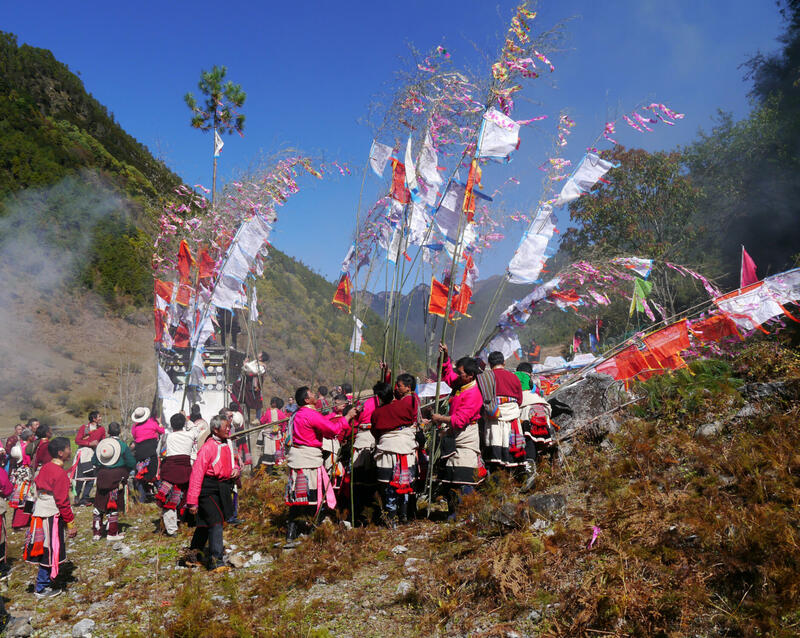 The celebration held in the Niru valley each year is called Jinshanjie (敬山节), which loosely translates to 'Mountain Reverence Festival'. Shengai is the name of the male mountain god and, right next door and separated only by a small valley, is his female reflection, Nga-ya. The female, in the words of Skalsky, "is totally woods and trees, and the male is all rock". These two spots, he continues, "are where all the power and potential of the Nizu people comes from". On the day of the festival, burning incense, huge amounts of the stuff, is required. Most is concentrated around a large, purpose-built chorten, or stupa. 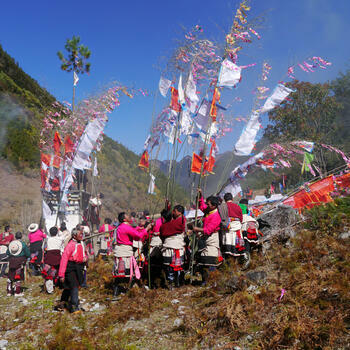 Prayer flags are raised as well, topped with sprigs and branches of aromatic herbs or boughs collected from nearby meadows. All of this activity is undertaken, in the words of Skalsky and Triboli, "to venerate the mountain and make amends for the sins of the nearby villages". Everyone, no matter whether they have an assigned duty or are simply there to observe, is dressed in their most beautiful garb. Pink, red and purple are extremely popular colors, and many women wrap their hair in bright, rose-colored headscarves. 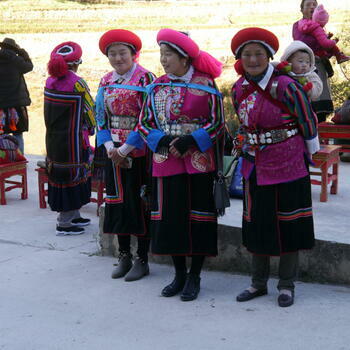 Nearly everyone wears hand-made clothing, some embroidered, some crocheted, all of it adorned with personal flourishes. 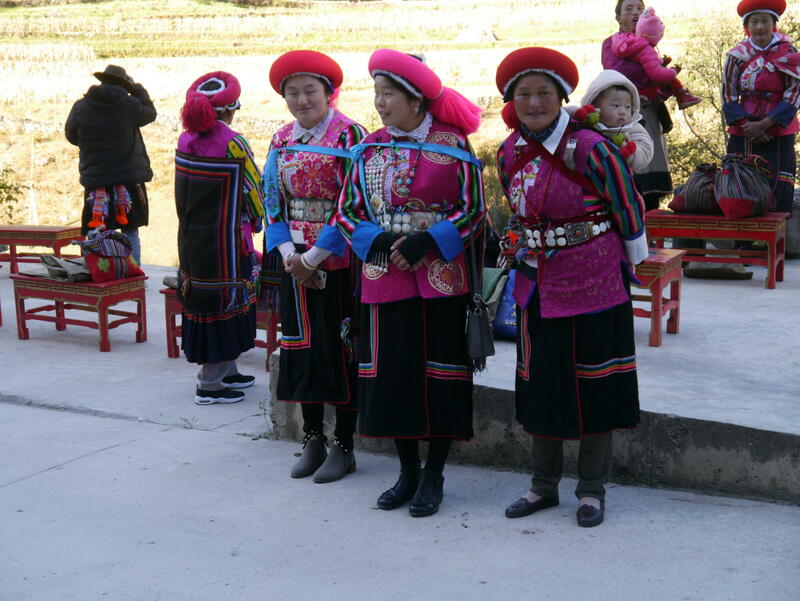 For women this includes intricate necklaces and beads, while men typically have on slightly less-complicated outfits featuring ankle-length wraps and Tibetan cowboy hats. High hats resembling turbans made out of fox pelts are also a common accoutrement. The huge communal meal, incense-burning, deference given to the zangba, prayer chanting and everything else are essential parts of the day. 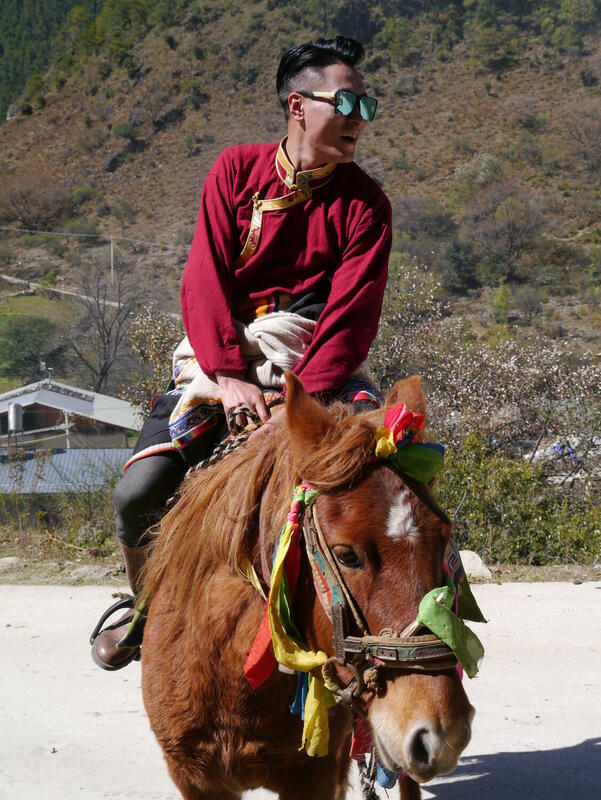 But what everyone is waiting on, what the entire festival hinges upon, is the horseback circumambulation of the holy mountains. It won't happen this year. "This year they didn't ride around the mountain," says Skalsky, "they walked it. Walking took more than forty minutes. Racing on their horses used to take half that amount of time...They just tore around. It was exhilarating. But the reason they walked is because the old track has been paved. The horses can't run on a smooth concrete road. It's just too dangerous." Electricity, phone service and internet access were one thing, and to many in Niru a welcome boon. Now the pavement has changed an entire festival. And not just any festival, but the most important social, cultural and spiritual one of the year. Already there is talk about ignoring the road entirely and clearing a dirt path beside it for next year. Something, say many locals, has to be done. This sleepy valley could experience even more of a tectonic shift soon. 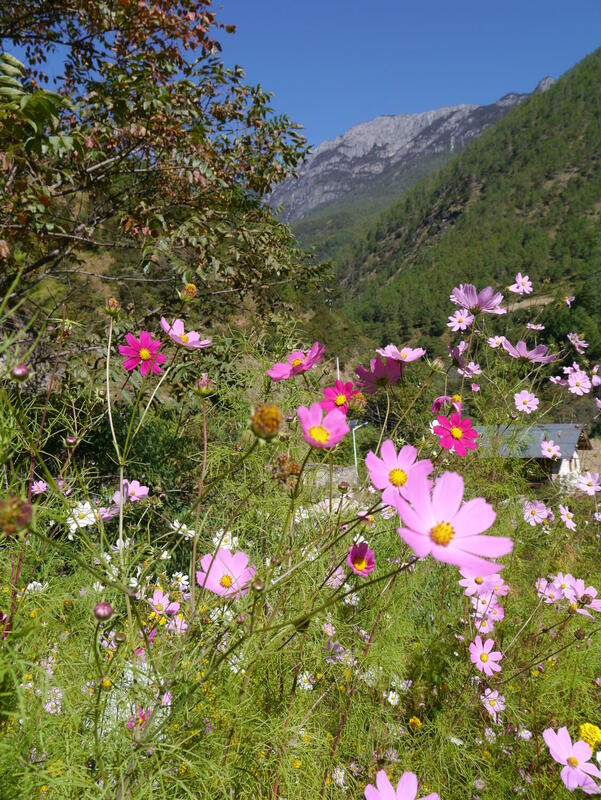 In an effort to curb or at least curtail the effects of impending mass tourism, the prefectural government has decided to incorporate Niru into a nearby national park. 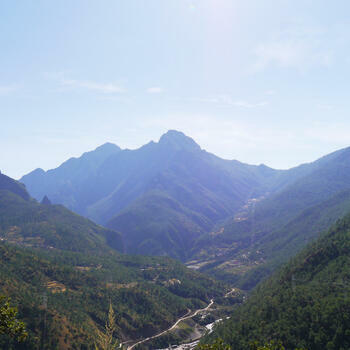 Pudacuo ( 普达措) is Yunnan's first such protected area, and its borders are just to the west of Niru. 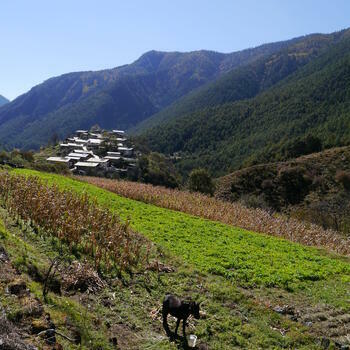 Absorbing the 400 square kilometers that make up the Niru Tibetans' traditional homeland, argue officials, would grant further environmental protections, help to preserve the region's pristine forests and protect wildlife. The actual residents aren't sure what to think. 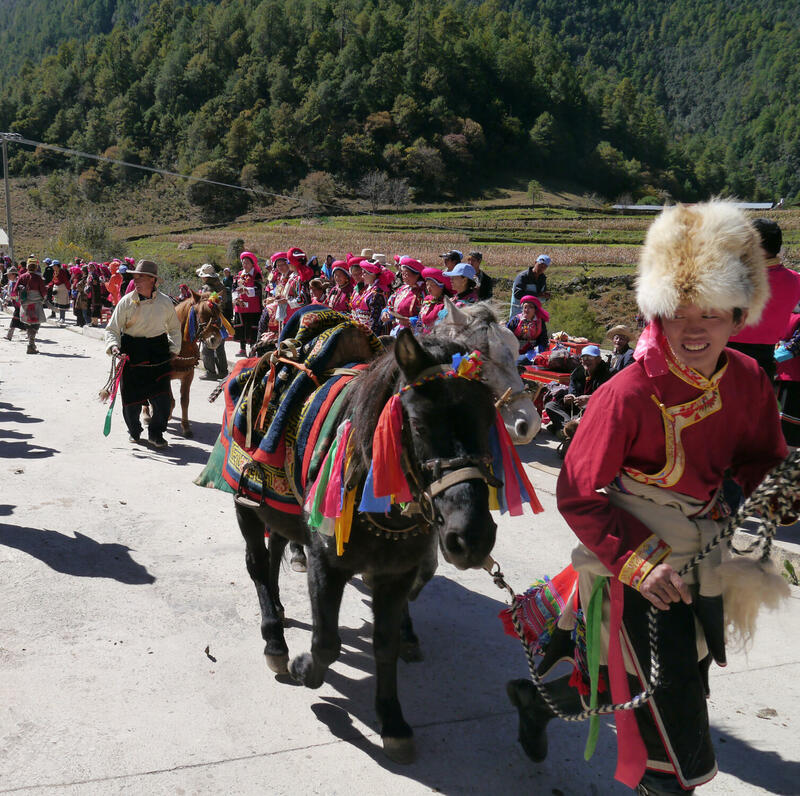 They fear a loss of autonomy, among other things, as well as harbor concerns over the future of their farming plots and yak herds. 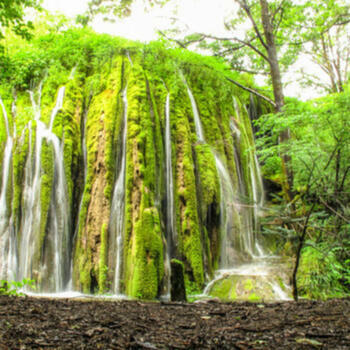 Regardless of whether the national park takes over, residents in Niru are preparing for tourism to expand. In addition to the Nizu Roadhouse, at least six other guesthouses vie for business in the area. 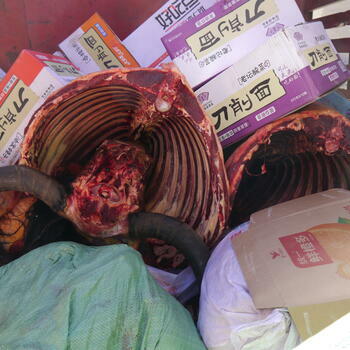 Locals have also already fixed prices on renting horses for the day — 200 yuan with no bargaining. "That's so when they put in paths for the park expansion, people will be able to make money from the tourists from animals they already own," says Skalsky. For one cloudless day in October, all of these concerns — even the paved horse track — fade into the background. 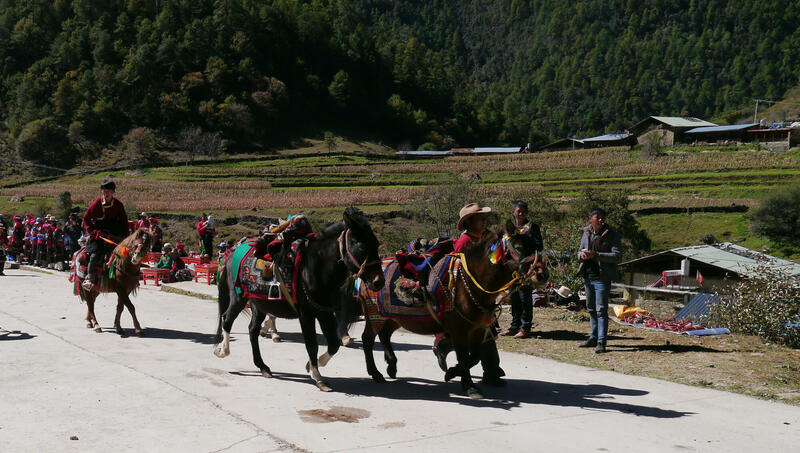 People eat their fill, have a few cups of chhaang, catch up with each other and revel in the horse parade. But the day's most unexpected event is provided by a new arrival. "I have seen a lot of animals — foxes, weasels, muntjac, pheasants, red pandas and a plethora of birds. There are also wolves, and the locals say bears. But this year there were monkeys," says Skalsky. He and Triboli have seen individual monkeys on several previous trips, but this time was different. "About 40 of them came down off the female mountain and raided the cornfields and apple trees while the festival was going on. They were so well organized it was like an army. Everyone stopped what they were doing and just stared," said Triboli. Added Skalsky, "It was trippy." Patrick, with your piece, the cat is out of the bag, and Niru is secluded no more. Conundrum. But hey, it can still be good.